Gynecomastia (male breast development) is very common condition in young adolescent males. It can be present in up to 40% of young males at the age of 14. Usually, it will have resolved in 75% of these teenagers by the age of 16, and in 90% by the age of 17. Although relatively common, gynecomastia should still be evaluated by a patient’s pediatrician. Rarely, it can be associated with certain genetic disorders and metabolic disorders. Much more commonly, it represents a cosmetic deformity, and can be a source of social embarrassment for young men. If there is no sign of regression by the age of 15 or 16, it is very likely that gynecomastia will not completely recede. If the breast has not changed for a period of several months, it is certainly reasonable to seek consultation with a board certified plastic surgeon to determine whether or not the young adolescent is an appropriate candidate for surgery. In most patients, this can be effectively treated with ultrasound-assisted liposuction, though there are a few circumstances in which larger incisions need to be made. If there are any signs of regression, the best bet is to continue to wait to avoid unnecessary surgery. 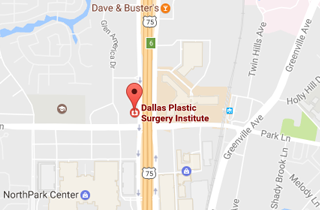 Should you have any questions, please do not hesitate to contact Dr. Jejurikar at the Dallas Plastic Surgery Institute. His office telephone umber is 214-827-2814.